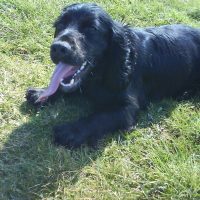 We run a friendly and reliable Professional Dog Walking service in the East of Edinburgh predominantly covering areas in or around: Northfield, Southfield, Mountcastle, Duddingston, Willowbrae, Craigentinny, Leith, Portobello and Joppa. Contact me to find out if I cover your area. It's not all about the pooches! Cat visits ensure your favourite feline friend is always purring. 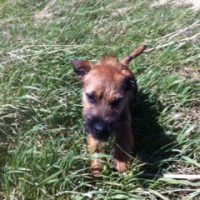 Local Pet Taxi Service (within Edinburgh East) - Includes a pick up and drop off service to the vet, groomers or kennels. Tailored to suit the needs of your pooch and you. Taking care of the newest addition to your family. People use dog walkers for a number of different reasons. In my experience many people don't want to wait till retirement age, before owning a dog, therefore employing a dog walker, ensures their dog gets daily access to socialise, exercise and fresh air, whilst the owners are busy at work....earning the dog food! For many people employing a dog walker provides them with a little extra time during busy periods, whether it’s moving house, long working hours, varying work shifts or other factors, such as an appointment or ill-health. 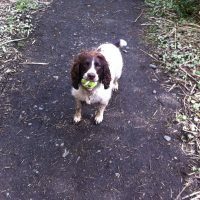 You can be safe in the knowledge, that I am available to provide your dog with its much needed daily exercise, combined with the re-assurance that their dog is being well looked after. 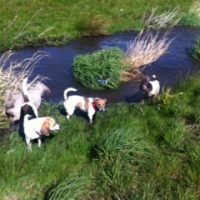 What are the benefits for your dog(s)? •	Dogs are both social and active creatures and excessive long periods of inactivity, is not beneficial to their well-being. 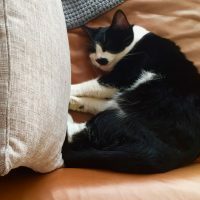 Much like us humans, we do not like the confinements of being restricted to one place for too long (and that was my reason for quitting office work!). Some dogs who are left on their own for much of the day, may also experience separation anxiety. In some cases, dogs lacking in exercise, with built up energy can result in them displaying some destructive, hyperactive and naughty behaviour. •	Whilst not being sat at home all day, daily dog walking can vent your dog(s) energy into physical exercise, interaction and mental stimulation, thus ensuring that your dog is returned home happy, tired and contented. •	Frequent lengthy walkies can improve your dog(s) quality of life, along with his/her health, thus lengthening their longevity. •	While having a garden can be beneficial to a dog to a point, this only provides very limited access to the outdoors. It does not, however, compensate for the physical and mental stimulation, undertaken during a long walk. •	Further benefits of having your dog walked are access fresh air, an opportunity for interactive exercise and to meet and greet other like-minded dogs, along with loo stops (only paw prints will be left, as evidence we've walked there). •	Dog walking can greatly assist puppies and rescue dogs in exposure to the world and all its noises, objects and smells. A confident dog is one that is not easily scared by the unknown (we have a rescue Collie who, when first came to us, was once terrified to walk passed a traffic cone). Walking dogs will build up their confidence with the outside world, so as not becoming skittish at traffic noises, cattle and other animals, bikes etc. •	Daily walks can fulfil your dog(s) natural ability to roam and explore. •	One full hour's exercise either to a park, woodland or beach, means that your dog will be returned home, happy, contented and tired. 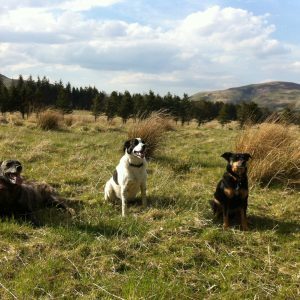 •	On group walks, to ensure each dog fully enjoys their walk, we only take dogs that are well-socialised, neutered/spayed and who have no history of aggression, either to other dogs or people.